If you’re lucky enough to count a well-made Aloha shirt or two in your closet, summer is the time to bring them to the front of your rotation. After all, boldly printed shirts dominated at Milan Fashion Week this month, and I have a feeling we’ll be seeing a few more Hawaiian shirts on gents of all generations this summer. 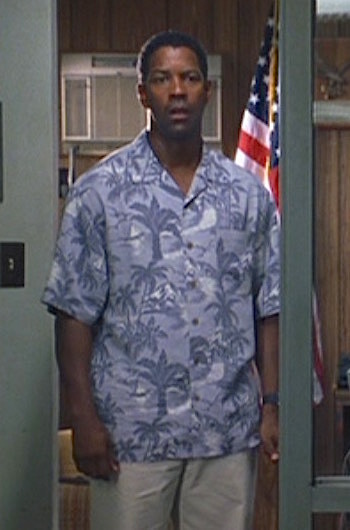 While Hawaiian shirts in movies and TV are often played for comedic purposes, the tropical neo-noir Out of Time unironically – and successfully – dresses its protagonist in a setting-appropriate printed Aloha shirt for the lion’s share of the film’s action. 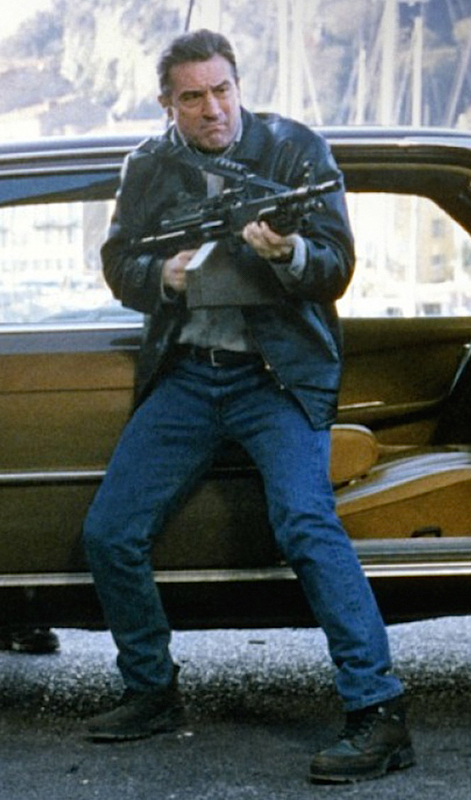 Robert De Niro as Sam in Ronin (1998), firing an FN Minimi in front of the gang’s brown Mercedes-Benz 450SEL 6.9 sedan. Several BAMF Style readers have requested to see Robert De Niro’s style from Ronin, the sensational and fast-paced thriller that follows a team of mercenaries carrying out a high-profile robbery in France. The film has been particularly singled out for its realistic car chases, filmed across stunning French settings by cinematographer Robert Fraisse as De Niro et al pursue their prey in European luxury sedans from more modern Audis and BMWs to a classic Mercedes-Benz 450SEL 6.9 performance sedan.